I put a letter in the mail the other day. I sent it express. It was important. I needed it to get to the US as soon as possible. It was so much more than words on a piece of paper folded into an envelope. I sent off my love and affection to a dear person. I sent off a farewell to a beloved family member fast approaching the end of her life. My remarkable and tenacious great aunt, at the age of 97, is winding down. I can’t get on a plane to go say good-bye in person. So I wrote a note. I sat down at my desk for a few precious moments before the kids returned home. I wrote her about my love for her. I told her that I will always hold her in my heart and memory even when she is no longer with us. That I will never forget her because my memories from our times together are sealed in my personal narrative. Of course I was in tears as I finished the last few lines of my missive. I folded it, stuffed it in the envelope, licked it closed, and wrote her name on the outside. I felt lighter and at peace. And I felt surprised. It turns out that this exercise was just as much for me as it was for her. I wasn’t expecting that. Death is a part of life, a natural (we can hope) end to many days filled with meaning and value. It is never pleasant to lose loved family members. Being in Israel, so far away from our loved ones, can add to the pain of losing a dear one. Judaism teaches us to cherish our memories of our beloved ones. It teaches us to take some time after a loss to remember and celebrate them, and to embrace the pain left behind after their passing. And Judaism teaches us that we have to get up from our sorrow and move forward, one day at a time. By letting go, when the time has come, we can find a way to hold on to those precious memories that will sustain us going forward. My aunt is still with us. For how much longer, no one knows. But I know that I will never lose her once she is gone. And I had the opportunity to tell her that. With my letter I found that by letting her go I had secured her with me forever. 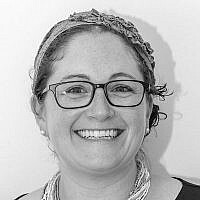 Rachel Gould made aliyah in 2010 to Haifa and now lives in Yokneam. She is a PhD Candidate in Public Policy at TAU focusing on environmental and population policies. 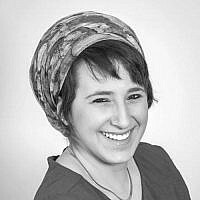 She was a candidate for city council in Yokneam on the Mekomi list in 2018.